• Unless other arrangements have already been made with the Center for Detectors, all visitors must stop at the Visitor Information Center to obtain a free visitor/guest parking pass. See the map above for the location of the Visitor Information Center. • Please park in lots J or F if possible. Refer to the campus map for the location of these parking lots. Visitors may park in any designated visitor space or general parking space not restricted by signs for other users. • Visitor permit must be displayed on the dashboard. Visitors are subject to all parking and traffic rules and regulations while on campus. 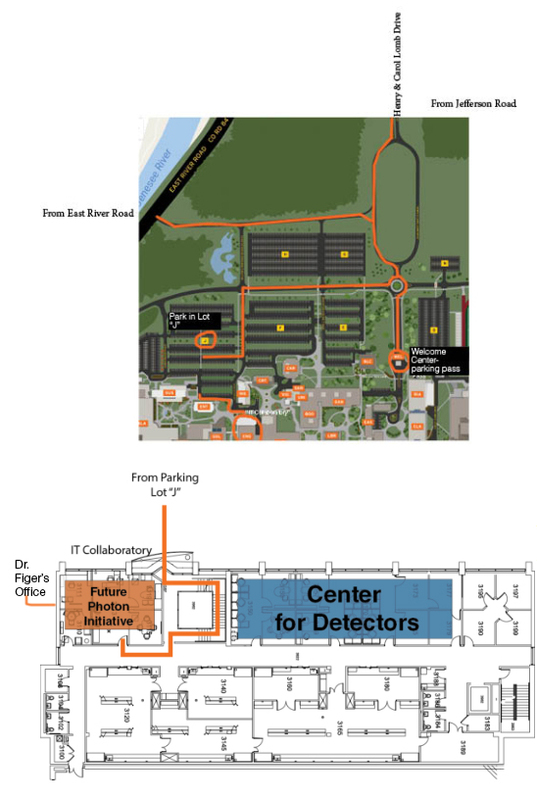 • The Center for Detectors is located in Engineering Hall (Building 17), near the top of parking lot J.